« Get Rid of Your Shoulder Pain Once & For All! Warning: Rotator Cuff Tears Do Not Heal! Rotator cuff pathology is potentially the most common cause of shoulder pain. It is estimated that approximately 65% of shoulder consults conducted by orthopaedic surgeons and nearly 33% of all orthopaedic injuries are related to the rotator cuff. Research studies have demonstrated that significant rotator cuff disease increases with age. In fact 100%, that means everybody, over the age of 70 years will have some form of rotator cuff disease. 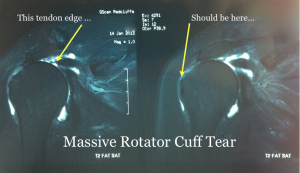 Studies show that the prevalence of rotator cuff tears greatly increases over the age of 50, reporting that more than 50% over the age of 70 years of age having a cuff tear and more than 80% of those 80 years and over having tears. The most commonly involved rotator cuff tendons being supraspinatus, subscapularis and infraspinatus. It appears then from the body of epidemiological research done on the rotator cuff it appears that rotator cuff lesions are a natural correlate of ageing. The rotator cuff is one of the largest tendinous structures in the human body and is integral to the normal workings of the shoulder. It’s main function is to help maintain the head of the humerus (Ball) within the center or the “sweet spot” of the glenoid (Socket). Keeping the ball centered in the socket allows us to transmit force to the upper limb and affords us a large range of movement so as to make use of one of the greatest tools we have … the hand. The high functional demands placed on the shoulder and indeed the rotator cuff subject the tendon structure to overload and progressive failure with pain secondary to rotator cuff tearing. Tears usually start at the anterior insertion of the supraspinatus and tend to cascade posteriorly into the infraspinatus then anteriorly across the bicipital groove into subscapularis. This cascading effect increases the load on neighbouring unaffected fibres. It is commonly recognised that the more tendons involved in cuff tearing, there is an increased likelihood of a negative outcome with impairments in functional capacity and poor patient satisfaction. Those diagnosed with a rotator cuff tear usually describe an impaired ability to lift the arm overhead. For example, picking up one’s child, combing one’s hair, doing up a brassiere or reaching to an upper shelf in the cupboard. 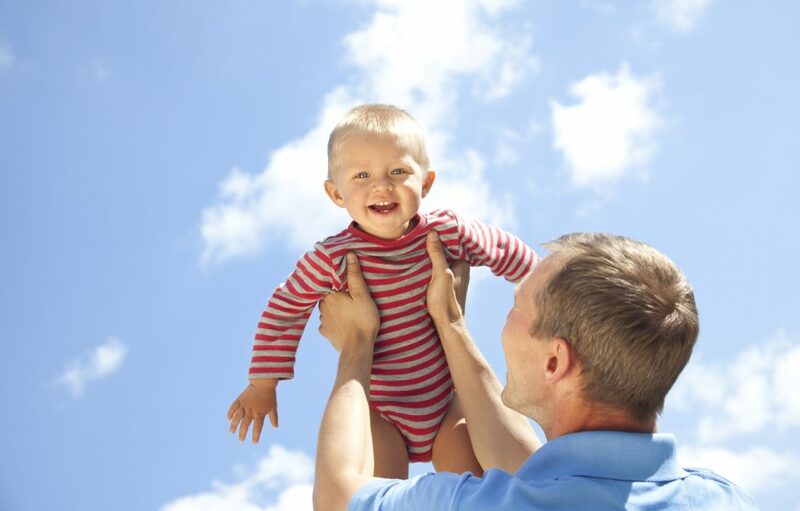 It has also been demonstrated that those with an isolated tear of the supraspinatus have less difficulty with overhead activities than those with larger tears involving both supraspinatus and infraspinatus. Ongoing research continues to add to our growing knowledge of the anatomical, biological, biomechanical, neuromuscular and nocioceptive factors that contribute to overhead functional deficits in those with full thickness rotator cuff tears. This body of knowledge is at the forefront of modern day physiotherapy and surgical interventions and Shoulder Guy Physiotherapy is leading the way. Want to Solve Your Shoulder Pain Problem? Tagged Do rotator cuff tears heal, Rotator Cuff Injury, Rotator Cuff Tears, Shoulder Physiotherapy, Shoulder Surgery. Bookmark the permalink.